The ice-covered continent of Antarctica, which is the Earth’s most southerly region, has for over 200 years drawn explorers and entrepreneurs seeking challenge and riches in its wintry lands. The extreme climate has deterred any large-scale settlement of the continent and though commercial hunters built outposts in the past, habitation is now limited to scientific bases. The Antarctica Treaty, which came into force in 1961, provides for international governance and scientific co-operation in place of potential territorial conflict. Many ore minerals; including Iron and Gold are found in the Antarctica. During the winter the seas surrounding Antarctica freeze, increasing the size of the continent by 100%. More than 30% of Antarctic ice is contained in the Ross Ice Shelf. 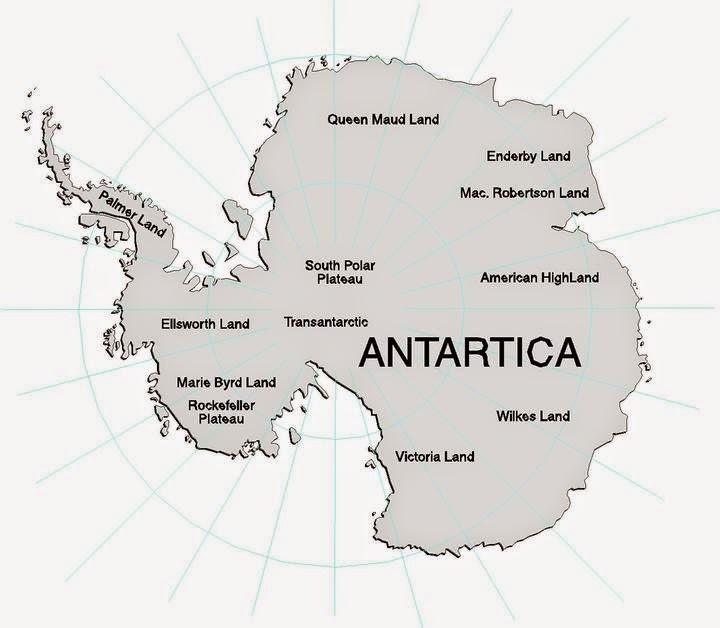 Antarctica is the highest continent on Earth, because of the great thickness of ice which overlays the land. In places the ice alone can reach up to 4800 m thick. The Lambert Glacier is the largest glacier system in the world, up to 80 km wide at its seaward limit and reaching 300 km. into the interior by way of the Prince Charles Mountains. Large colonies of sea-birds live in the extremely harsh Antarctica climate. The Emperior Penguin seen here, the smaller Adelie Penguin, the Antarctic Petrel and the South Polar Skua are the only birds which breed exclusively on the continent. The sun sets over the Antarctic Peninsula for more than six months during the winter. However, there are more hours of sunshine during the brief Antarctic summer than most equatorial countries experience in a whole year. There are two distinct parts to Antarctica: Lesser Antarctica, a series of the ice-covered, mountainous islands, joined together by the ice and the high plateau of Greater Antarctica. The Ross Sea and the Wed-dell Sea are outliers of the Southern Ocean-deep bays partially covered by thick ice shelves.